With over 99 percent of the earths water, that covers roughly 70 percent of the earths surface, undrinkable. Water purification is essential in times of drought or shortage. 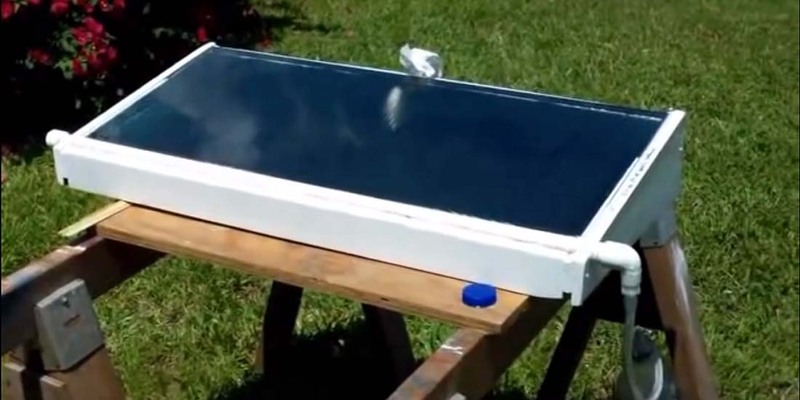 The following two videos are great examples of a solar still made on a budget. This still was designed and built to create drinking water from surface or sea water, always opt for the safest source when distilling. Below is a homemade solar still with a shallow basin design of 3 square feet of water surface area. Although it was a work in progress, it was functionality from the beginning. For the improvements on the still, there is a follow up video, here’s what was changed and some more results. CrypticCRICKET solved some problems that he had with it. From the performance sampling of this solar still, it was determined that you would need 44.4 sq feet of glass to provide 1 person with 1.5 gallons of potable water per day under, in less than ideal situations, like heavy cloud cover conditions. That equates to 2.6 solar stills that are each made from a single pane of glass salvaged from a discarded sliding glass patio door. And also due to some days have fewer hours of sunlight, 3 solar stills of this size, per person, would be a more conservative estimation. Heavy cloud cover conditions usually bring rain so having alternative methods of rainwater harvesting are advisable. For example, it would take 30 minutes of medium rainfall to fill some rain barrels from empty. When determining the angle the glass should be placed at, you want to ensure that the water makes it to the collection channel and don’t drop off before, so, slightly steeper than displayed here, around 10-15 degrees would be more optimal. This method is also great to harvest clean water for a DIY Self-Watering Container For Your Vegetable Garden. Designed By InkHive. © 2019 The Sustainability Box. All Rights Reserved.